The Junior Leadership Development Academy (JLDA) is a program for equipping junior leaders with a variety of skills as well as encouraging leadership, teamwork, and personal development. JLDA events can have multiple camps (courses or disciplines) going on at the same time, on the same dates, in the same location or it can be just one camp. 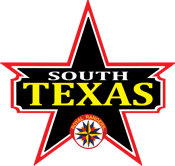 In South Texas Royal Rangers, the process of preparing boys for leadership and engaging them in leadership roles today is an integral part of what we do. This Junior Leadership Development Academy will provide 3 different levels of leadership training for boys and young men. More information about the different levels are below. RTC is a district leadership training event for boys who have graduated the 4th grade but not yet in the 7th grade. RTC prepares boys to serve as junior leaders in a boy-led, adult-facilitated outpost. RTC can be offered in a camping, retreat center, or church venue. What is my role in my patrol and group? What are some of my God-given (natural) talents and strengths? How do I add value to my patrol and group? What are my God-given (natural) talents and strengths and how am I developing them? Do I have what it takes to be a godly man? What is God's plan for my life? AJTC is for boys who have completed JTC and have graduated from the eighth grade. AJTC focuses on leadership development by serving in group and church leadership roles for young men. AJTC can be offered in a camping, retreat center, or church venue. 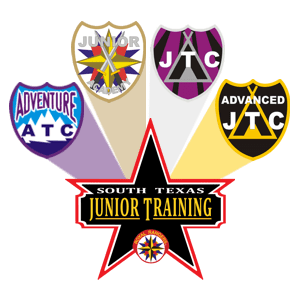 AJTC is a required event for the Trail of the Saber Award. Action Camps are district-sponsored training events in which both young men in grades 9-12, and adult men can attend. Together they will learn exciting skills like backpacking, canoeing, survival, winter camping, etc., to take back to the local outpost. These activities can be ideal for a father and son to attend together. Boys do not need to complete JTC or AJTC prior to attending an action camp. The following Action Camps are recognized by the National Royal Ranger office and have patches and artwork available: Backpacking Action Camp (BAC), Canoeing Action Camp (CAC), Missions Action Camp (MAC), Survival Action Camp (SAC), Aquatics Action Camp (AAC), Winter Survival Action Camp (WSAC), Shooting Sports Action Camp (SSAC).